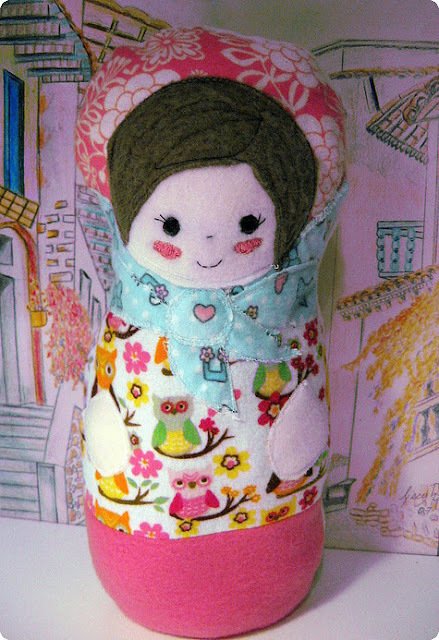 Once I came across this Russian Doll Softie Pattern on BurdaStyle☆ I had to make my own. So here she is, Devushka, such a sweet & delightful doll. Yes, the pattern is free, super easy & fun to make. ☆BurdaStyle, For People Who Sew, is a wonderful resource for the DIY community filled with an abundance of fashionable patterns, projects, and more. Of course, we highly recommend this site!